Anotimpuri banquet hall of Butoias restaurant complex is situated in bloc “B’ and has a seating capacity of 150. It is decorated with sculptures, paintings, and wonderful ceiling lamps and pictures series form 1896 of the famous Czech artist Alphonse Mucha “The seasons”. 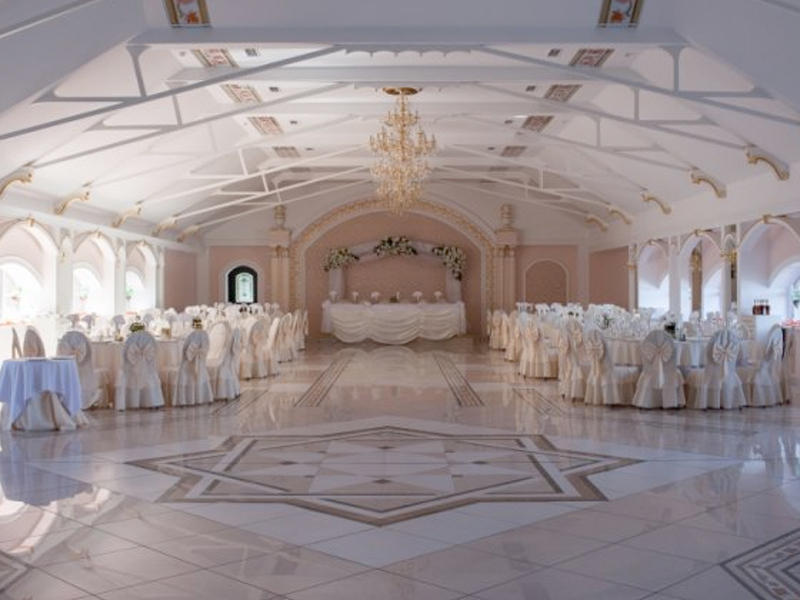 The banquet hall has an exit to the balcony and also to the terrace, where in warm weather we can place a buffet table, or you can simple enjoy the picturesque view of the park. It is suitable for several kinds of events. Butoias banquet hall of Butoias restaurant complex is situated in bloc “A” and has the capacity of up to 180 seats. Its interior is decorated in pastel shades of the classical style. Due to its view to the central facade of the complex and exit to the terrace, we can both place a tea table, and simply enjoy the sculptures and fountain in the yard. It is mostly suitable for solemn events. Marinas banquet hall of Butoias restaurant complex is situated in bloc “B”. Its decorations and interior has a maritime theme. That is where the name comes from. 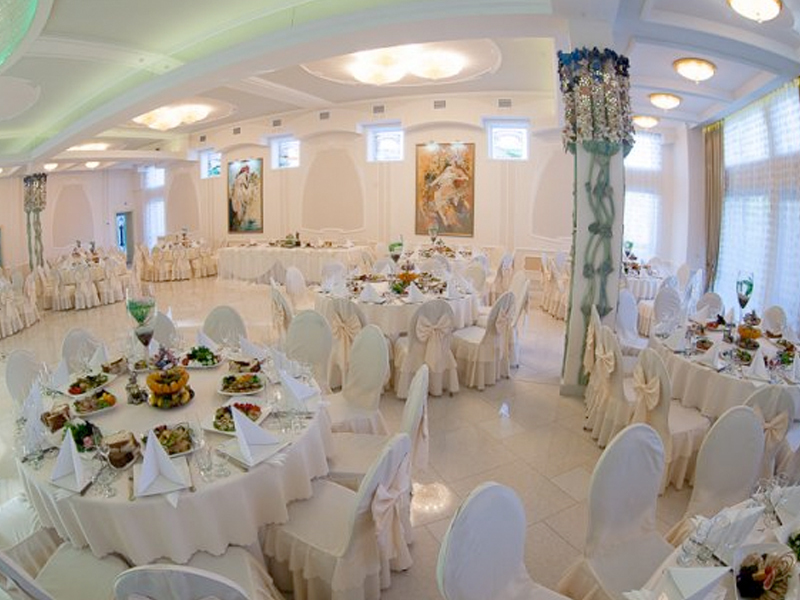 It has a capacity of 100 seats and an exit to a splendid terrace, where one can hold the ceremonial part of a wedding. It has an entry through the main hall with huge mirrors and soft sofas - a perfect place to meet the guests. 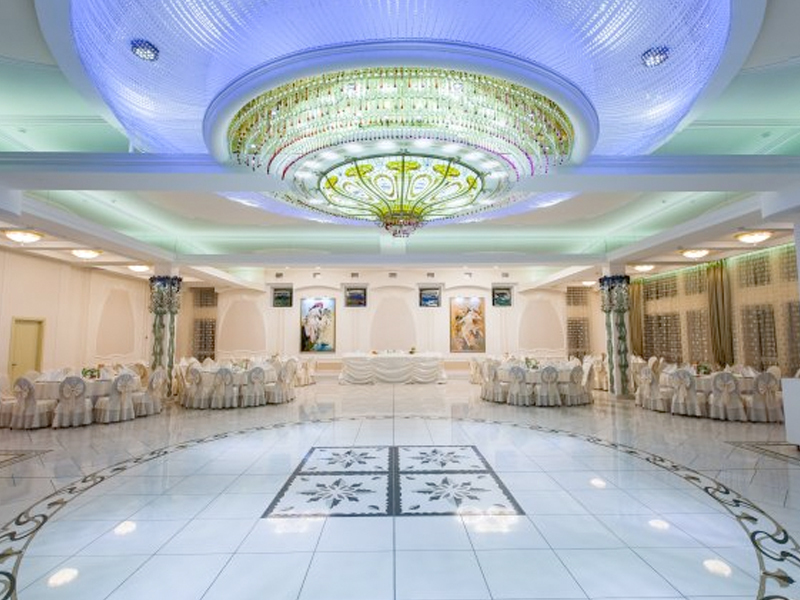 This banquet hall is suitable for several kinds of events. It is composed of a variety of banquet halls: three banquet halls in classical style, an eastern banquet hall with hookahs, a banquet hall with a real fireplace, and huge sculptures of lines standing sentry over them, a little boudoir, view to the fountain, a banquet hall in a traditional Moldovan style, a flow area with comfortable sofas and of course wine rooms with red and white wines, where one can organise wine tasting and choose a bottle of the local collection of vintage wines. Welcome to Butoias restaurant!